Brigades, Cavalry, and other Infantry units. Also General works on S.C. and the War Between the States. Follow links for additional reading and information. Patrick McCawley's work is the best modern reading guide available on the war in South Carolina, and Patrick is one of the great living treasures on this subject. Patrick J. McCawley: Guide to Civil War records: A guide to the records in the South Carolina Department of Archives & History, 81 pages, Index, Illustrations/Photos. BRADSHAW, TIMOTHY: Battery Wagner, The Siege, The Men who Fought and the Casualties. JOHNSON, MICHAEL; ROARK, JAMES: No Chariot Let Down, Charleston's Free People of Color on the Eve of the Civil War. JOHNSON, MICHAEL; ROARK, JAMES: Black Masters, A Free Family of Color in the Old South. KIRKLAND, RANDOLPH, JR.: Broken Fortunes: South Carolina Soldiers, Sailors & Citizens Who Died in the Service of Their Country and State in the War for Southern Independence, 1861-1865. McCAWLEY, PATRICK: Guide to Civil War Records: A Guide to the Records in the South Carolina Department of Archives and History. NEPVEUX, ETHEL: George Alfred Trenholm and the Company that went to war. RHODES, JEFFERY: Scapegoat General, Benjamin Huger, C.S.A. ROBERTS: Portraits of Conflict: A Photographic History of South Carolina in the Civil War. S.C.U.D.C. : South Carolina Women in the Confederacy, 3 Vols. WELLMAN, MANLEY W.: Giant in Gray, Wade Hampton of S.C.
CAPERS, ELLISON: Confederate Military History, South Carolina. Selected Items of Interest to the Confederate Reader. Bishopville, Confederate Graves in Presbyterian Cemetery, Bishopville, S.C. Vol. 8, page 347, U.D.C. Bishopville, Old Soldiers Buried at Bethehem Cemetery, Bishopville, S.C., Vol. 8, page 347, U.D.C. Chester, Purity Graveyard, Address given by S.B. Lathan Chester County, Vol. 7, page 387, U.D.C. Fairfield, Cemetery List, Concord Church, Fairfield County, Vol. 6, page 6, U.D.C. Johnson, Roll of Confederate Dead at Mount of Olives Cemetery, Johnson, S.C. Vol. 10 page 278, U.D.C. Pendleton, The Confederate Dead at the Old Stone Church and Pendleton, Vol. 7, page 377, U.D.C. Spartanburg, Cemetery List of Gleaton Cemetery, Spartanburg, S.C., Vol. 9, page 199, U.D.C. Springfield, Cemetery List of Morgantown Cemetery Springfield, S.C. Vol. 9, page 199, U.D.C. Springfield, Cemetery List of Oakwood Cemetery, Springfield, S.C. Vol. 9, page 199, U.D.C. Winnsboro, List of Confederate Veterans in A.R.P. Cemetery Winnsboro, S.C., Vol. 11, page 303, U.D.C. Winnsboro, List of Confederate Veterans in Episcopal Cemetery, Winnsboro, S.C. Vol. 11 page 304, U.D.C. Abbeville, Abbeville County�s Part in the War Between the States, Vol. 9. page 133, U.D.C. Abbeville, What Abbeville County Contributed in the War of Secession, Mrs. M.G. Donald, Vol. 9, page 175, U.D.C. Aiken, Wheeler�s Cavalry in Aiken, Vol. 7, page 98, U.D.C. Anderson, Anderson County in the War Between the States, Georgia L. Muldrow, Vol. 11 page 319, U.D.C. Bamburg, Our County�s Part in the War Between the States (Bamburg County), Roberta Walker, Vol. 11 page 317, U.D.C. Berkeley, Berkeley County�s Part in the War Between the States, A.C. Snowden, Vol. 9, page 167, U.D.C. Chester, James Graham�s Railroad Mission, Chester, S.C., Vol. 7, page 171, U.D.C. Clarendon, Clarendon Confederate History, Mrs. Samuel J. Clark, Vol. 7, page 343, U.D.C. Edgefield, Some of the Edgefield Surgeons, Vol. 9, page 553, U.D.C. Georgetown, A Sketch of Georgetown County 1861-1867, Mrs. J.W. Doar Vol. 11, page 487, U.D.C. Laurens, Laurens County Confederate History, W.D. Sullivan Sr., Vol. 9, page 177, U.D.C. Lexington, List of Confederate Veterans and Widows Living in Lexington County, 1914, Vol. 8, page 354, U.D.C. Newberry, My County�s Part in the War Between the States (Newberry), Vol. 9, page 143, U.D.C. Newberry, My County�s Part in the War Between the States (Newberry), Vol. 9, page 149, U.D.C. Oconee, My County�s Part in the War Between the States (Oconee), Bessie Stribling, Vol. 10, page 336, U.D.C. Oconee, Oconee�s Part in the War Between the States, Anna Hall, Vol. 10, page 339, U.D.C. Orangeburg, Orangeburg County in the War Between the States, Vol. 7, page 355, U.D.C. Pendleton, Confederate History of Pendleton District, Vol. 7, page 374, U.D.C. Pendleton, Old Pendleton, Vol. 7, page 361, U.D.C. Saluda, My County�s Part in the War Between the States, Edgefield District, Saluda County, Mrs. G.O. Etheredge, Vol. 7, page 531, U.D.C. Spartanburg, Spartanburg County�s Part in the War Between the States, Mrs. M.L. Adair, Vol. 9, page 196, U.D.C. Williamsburg, Williamsburg County, The Effects of the WBTS, Montgomery, Julia, Vol. 7, page 318, U.D.C. York, York County in the Dark Days of 1876, J.R. Haile, Vol. 11, page 438, U.D.C. Anderson, Lt. Gen. R.H. Anderson, Mrs. W.B. May, Vol. 8, page 201, U.D.C. Anderson, Lt. Gen. R.H. Anderson, Pauline Oates, Vol. 10, page 187, U.D.C. Anderson, Richard Heron Anderson, Hugh White, Vol. 9, page 1, U.D.C. Anderson, Richard Heron Anderson, Vol. 10, page 465, U.D.C. Beauregard, General Beauregard, Beatrice Ferri, Vol. 8, page 245, U.D.C. Bonham, Governor M.L. Bonham, Agatha A. Woodson, Vol. 10, page 497, U.D.C. Bratton, General John Bratton, Louise Ellison, Vol. 9, page 5, U.D.C. Butler, M.C. Butler, W.G. Hope, Vol. 10 page 493, U.D.C. Butler, Matthew Calbraith Butler, U.R. Brooks, Vol. 9, page 477, U.D.C. Confederate Generals of South Carolina, Vol. 2, page 547 Dunovant, Brigadier General John Dunovant and General R.G.M. Dunovant, Vol. 9, page 550, U.D.C. Evans, General Nathan G. Evans, Vol. 6, page 242, U.D.C. Evans, The Brigade of N. George Evans and Reminiscences of Mrs. Evans, Woodson, Agatha, Vol. 9, page 431 U.D.C. Gaston, James McFadden Gaston, Chief Surgeon of South Carolina Troops, Anderson�s Brigade, Vol. 7, page 174, U.D.C. Gregg, Maxcy Gregg, Agatha A. Woodson, Vol 11 page 639, U.D.C. Hampton, Wade Hampton, Cristobel Mayfield, Vol. 8, page 257, U.D.C. Hill, Daniel Harvey Hill, Julia Plexico, Vol. 8, page 95, U.D.C. Jenkins, General Micah Jenkins, Gist Finley, Vol. 8, page 211, U.D.C. Jenkins, Micah Jenkins Letter, Vol. 8, page 361, U.D.C. Jenkins, Micah Jenkins, S.R. Hope, Vol. 10 page 543, U.D.C. Kershaw, General J.B. Kershaw, Mary B. Babb, Vol. 7, page 242, U.D.C. Lee, Stephen D., Vol. 2, page 497 Longstreet, General Longstreet and His Carolina Residence, A.A. Woodson, Vol. 10, page 452, U.D.C. Lynch, P.N. Confederate Diplomatic Service, Vol. 6, page 253 �255, U.D.C. 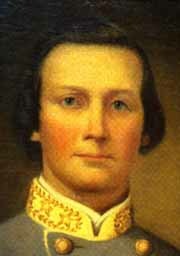 McGowan, General Samuel McGowan, Vol. 9, page 551, U.D.C. McGowan, McGowan�s Brigade, Mrs. H.R. Williamson, Vol. 8, page 107, U.D.C. McGowan, The Illustrious Dead, General Samuel McGowan, Vol. 10, page 323, U.D.C. Perrin, General Abner Perrin, P.M. Feltham, Vol. 9, page 22, U.D.C. Pickens, Governor Francis Pickens, Vol. 6, page 259, U.D.C. Pickens, Governor Francis W. Pickens, A.A. Woodson, Vol. 10, page 466, U.D.C. Trapier, General J.H. Trapier, Vol. 7, page 168, U.D.C. Wallace, General W.H. Wallace, Eighteenth S.C. Infantry, Vol. 9, page 21, U.D.C. Wallace, General William Henry Wallace, Vol. 6, page 209, U.D.C. South Carolina Battles During the War Between the States, O.M. Buzhardt, Vol. 8, page 265, U.D.C. River�s Bridge, Ben S. Williams Vol. 10, page 1, U.D.C. The Defense of Battery Wagner, Sept., 1863, T.G. Simons, M.D., Vol. 8, page 37, U.D.C. The Defense and Evacuation of Fort Wagner, Vol. 8, page 203, U.D.C. The Battle of Secessionville, George Jones Vol. 8, page 444, U.D.C. Confederate Engagements in Charleston Harbor, Vol. 7, page 575, U.D.C. Batesville Volunteer Flag, Early War Unit, most of the men went to the Holcombe Legion, Vol. 10, page 83, U.D.C. The Flag of the Martin Guards, Vol. 9, page 572, U.D.C. Roll of Catawba Camp, United Confederate Veterans, Vol. 8, page 104, U.D.C. Frank E. Whilden�s Experience During the War, An Eyewitness Account of Sherman�s Occupation of Columbia, Vol. 9, page 486, U.D.C. Alexander McQueen Salley � The Salley Family, Vol. 9, page 577, U.D.C. Charleston, H.E. Brackett, Vol. 8, page 170, U.D.C. Tompkins Family of Edgefield, Vol. 7, page 209, U.D.C. The Bells of St. Michael�s Church, Martha B. Washington, Vol. 7, page 569, U.D.C. The Bells of St. Phillip�s, Martha B. Washington, Vol. 7, page 571, U.D.C. Mary's World: Love, War, and Family Ties in Nineteenth-century Charleston. This biography of Mary Pringle and her family (which included eight Confederate heroes, including Capt. Robert Pringle, after whom Battery Pringle on the Stono River near Charleston was posthumously named) explores in great detail how the war affected one large Confederate family of South Carolina rice planters. I promised Patrick Brennan I would read his book, I did, expecting not to find what I found. Then I went out and ordered a copy, paid good money for something printed after 1965 and written by someone from north of Kentucky. This book is a must for anyone who loves the war. Patrick's work is an amazing thing, and thank goodness for it. He give us what most seek, a pure Yankee bean counting, footnoted study with a story as only a fire eating southern could tell it... not bad Pat, damn near perfect... and those of you who know me know I don't hold much stock for most of the modern writers, so these are strong words. Trust me you need the book, go buy it. Makes me want to find a couple of more good ones. Pat's words are like music, almost a lyric, and it is good to hear Dixie one more time, even when blended with that other song they call a hymn. New Books, Deals, and Information! "Out-of-print book sale. _To The Manner Born: The Life of General William H.T. Walker_ (University of Georgia Press, 1994), colorful and outspoken Civil War Confederate leader, sometimes known as the Georgia Firebrand. 300 pages of text and 100 of appendices, notes, bibliography and index. Now out of print, the last few copies of this book, autographed by the author, are available at a special discount of only $24.95, 50% off the publisher's list price. Mail orders, add $5.00 for S&H. Contact Russell K. Brown at (706) 868-6450, russell@csranet.com, or 801 Thaxton Road, Grovetown, GA 30813." Memories of the war, relating to Micah Jenkins family. What was in the mysterious vials from the last century. Papers of Charles F. Lee � Fifty fifth Massachusetts Infantry serving of coast of S.C.
Letter of R.P. Wales, Union Soldier serving of coast of S.C.
William H. Johnson, Seventh Connecticut Volunteers Coastal Service S.C.
No nasty notes about the revision of history, some of these are modern authors, others are reprints of great older material. By the way, I know who burned Columbia. Follow the link, read the review, and you decide. Long Gray Lines -The Southern Military School Tradition, 1839-1915 - by Rod Andrew Jr.
To Have and to Hold - Slave Work and Family Life in Antebellum South Carolina - Larry E. Hudson Jr.
Major Butler's Legacy - Five Generations of a Slaveholding Family- Malcolm Bell Jr.
"Richmond is a Hard Road to Travel"